Enron Creditors Recovery Corp also known as the ERC is the new name of the previous Enron Corporation which went bankrupt in the year 2001. 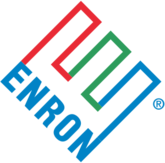 Located in Houston Texas, Enron Creditors Recovery Corp mission is reorganization and liquidation of the operations and asserts of the previous Enron Corporation so as to enable them to return funds to the innocent creditors who suffered when the company went under. The company has pursued numerous litigations against the parties that want to hold them responsible for the collapse, something that has enabled them return substantial amount of money to the creditors. There are currently 0 consumer reviews about Enron Creditors Recovery Corp. available. Share your review. Please take a note that you are about to post a public review about Enron Creditors Recovery Corp. corporate office on CorporateOffice.com. This review will be public, so please do not post any of your personal information on this website. If you would like to contact the corporate offices of Enron Creditors Recovery Corp., please use their contact information such as their phone number, website, and address listed above to contact them. However, sometimes staff from Enron Creditors Recovery Corp. headquarters do read the reviews on this website.